Here at woolsweaters.org.uk we have the utmost respect for our customer's privacy. As with each and every customer, your account information is kept in total complete confidence. Our strict policy insures that we will not sell, rent, distribute or release your personal information to any third parties unless we have your permission or are required by law to do so. We will send you a confirmation email once you have completed your purchase. This will give you important information and when to expect your package. This email will not reach you if you have provided a non working email address. If you use a Spam blocker or use an Internet provider like Hotmail that routinely block legitimate emails, you are unlikely to receive this important information. You can ask us to resend this information if you have not received any confirmation of your order within 48 hours (excluding weekends) from the date you ordered from us. Our website does not require that you submit personal information to Woolsweaters. However, we may request personal information in order to help us complete your order or to serve you more effectively. Regardless of the purpose for which it is submitted, it is our policy to maintain all personal information as strictly confidential. Woolsweaters.org.uk does not lease, rent, sell, trade or otherwise share personal information about you with other companies except to provide products or services you've requested or when we have your permission. This does not include trusted third parties who assist us in operating our website, conducting our business, or servicing you, so long as those parties agree to keep this information confidential. We may also release your information when we believe release is appropriate to comply with the law, enforce our site policies, or protect ours or others rights, property, or safety. Occasionally, we may include or offer third party products or services on our website. In addition, our website may contain links to other websites of interest. These third party sites have separate and independent privacy policies. Once you have used these links to leave our site, you should note that we do not have any control over that other website. We therefore have no responsibility or liability for the content and activities of these linked sites. Nonetheless, we seek to protect the integrity of our site and welcome any feedback about these sites. You should however exercise caution and look at the privacy statement applicable to the website in question. We are committed to ensuring that your information is secure and have implemented a variety of security measures to maintain the safety of your personal information when you place an order. We offer the use of a secure server. All supplied sensitive information is transmitted via Secure Socket Layer (SSL) technology and then encrypted into our Payment gateway providers database only to be accessible by those authorized with special access rights to such systems, and are required to keep the information confidential. The fastest way to place an order is by using the secure checkout on the web site. The checkout allows you to securely pay with your credit card. Credit card transactions are protected via the SSL (Secure Sockets Layer) protocol, the adopted standard for processing secure credit card orders over the Internet. All payments will be made through a highly secure payment processor. Your credit card information will not be stored on our servers. All online communication is encoded according to strict standards. (Payment Card Industry Data Security Standard). According to the international Card Companies, any entity that handles and/or services card information needs to be PCI certified. All prices at woolsweaters.org.uk are shown in GBP Sterling (£) and without VAT. No tax will be added during checkout for international orders (export). Prices are subject to change without notice. 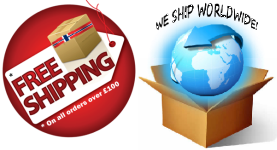 Our acceptance of your order takes place when we despatch the order. We will send you a confirmation by email. Once you have checked out, and your order has been confirmed you will not be able to make any changes to your order, so please make sure that everything is correct beforehand. 1. Where the product is temporarily not available. 2. Where we cannot obtain firm authorization for your payment. 3. If there has been a product description or pricing error. Woolsweaters reserves the right to cancel orders, to change prices and to change product types being sold, without notice. If you have any questions or problems please contact us. If you are unhappy with any product you have ordered, simply return it to us unopened within 30 days and we'll give you a full refund. This does not affect your statutory rights. Please contact us initially prior to returning any goods by e-mail and stating your reason for wishing to return the product. Please note that Proof of postage or tracking must be obtained for all returned goods to us and this is at the buyer's expense. The customer must take all reasonable care to ensure that all returned items are suitably and adequately packaged safely. Lost or undelivered goods must be reported to us within 21 days of purchase, after this period we cannot be held responsible for the said loss. All other returns must be unopened and in "As New" condition. Any Return postage costs are the sole responsibility of the buyer in this case. All Refunds will be less the shipping charge. This charge will not be applied to damaged goods or cancellations within the 7 working day cooling off period. If your order has been despatched prior to your cancellation, a refund will be issued once the order has been returned to ourselves. If you take advantage of any sale offer or discount, you will be refunded according to the discount that was applied to the offer. Please allow at least 10 working days for your refund or exchange to be processed. All costs associated with the return, is the sole responsibility of the buyer. Please understand a refund will ONLY be issued under these guidelines without exceptions. Please note that these surcharges are placed to cover the costs of postage, re-stocking, handling and administration. Orders under £100 (excluding P & P) will incur a 15% surcharge or a minimum charge of £7, whichever is the greater (plus where applicable, the P&P cost to re-send the goods). All Orders over £100 (excluding P & P) will incur a £17 surcharge (plus where applicable, the P&P cost to re-send the goods). To the extent permitted by UK law, we shall not be liable to you for any direct, indirect or consequential delay, loss or damage and we shall have no liability to you for any direct or consequential delay or loss that is caused by any event, customs seizure or circumstances beyond our reasonable control.